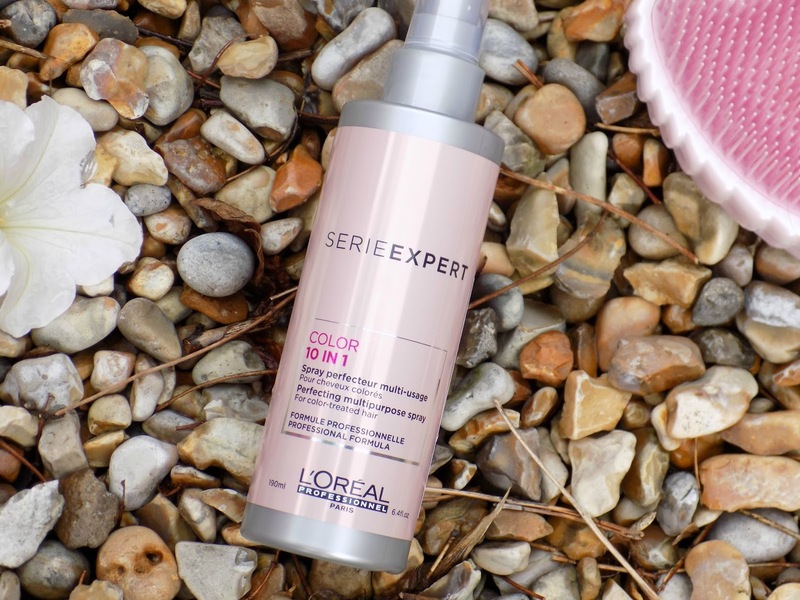 I am someone who has my hair coloured every 6 weeks,( this girl is high maintenance), on my last visit my hairdresser introduced me to L'oreals Serie expert color 10 in 1, treatment. My hair is super notty, and is always a nightmare after washing, taking me ages to untangle, so anything that's gonna help with that is a bonus. 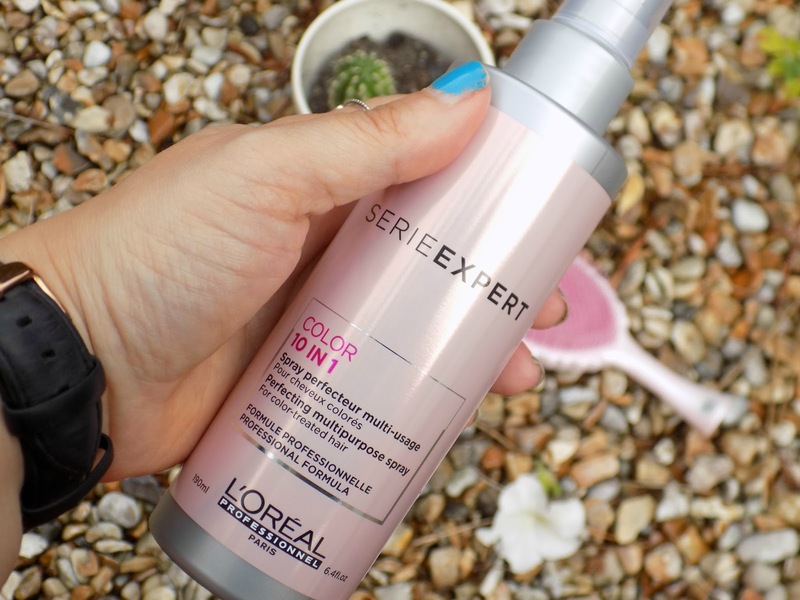 I spray this through my hair after washing before combing, its is a miracle worker at untangling, it also protects my hair from heat damage, protects my colour and helps to reduce breakage and split ends. 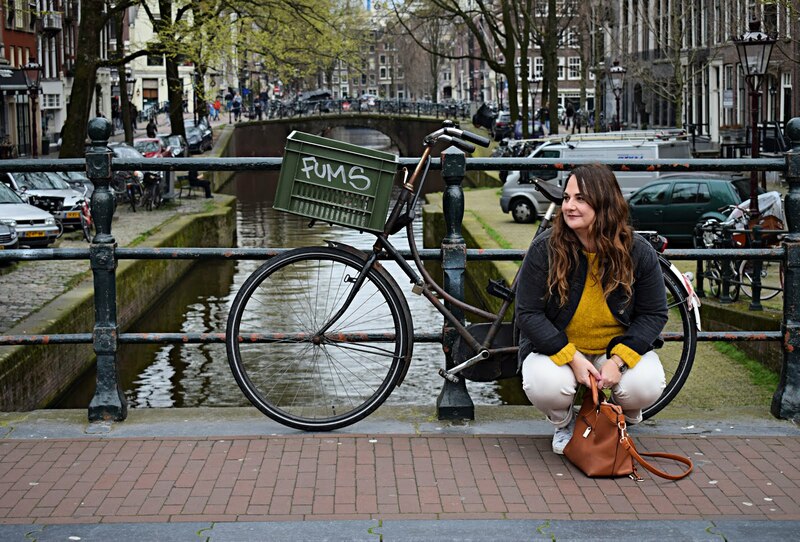 It leaves my hair soft, shiny, and with loads of body without weighing it down making it greasy. I am trying to take more care of my hair as I have always been pretty crap at protecting it and as I colour and heat style frequently I do inflict damage. 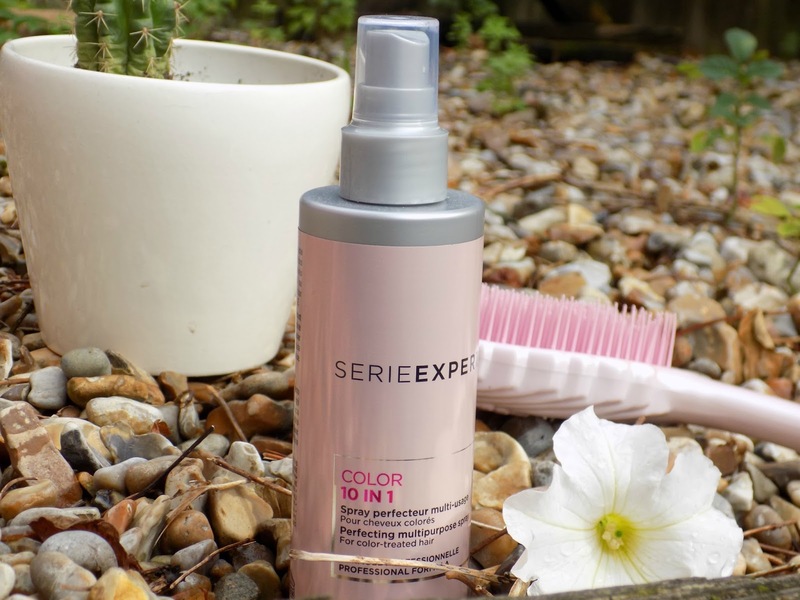 I think for long hair, that is prone to frizziness and tangling this stuff is ideal, I am totally converted as it is just so quick, a few spritz through my hair after washing and that's it, it has so many benefits with limited effort. my hair is so thick and tangles all the time so ill have to try this product out! hopefully it will make brushing my hair so much better!